26 letters, infinite emotions… on Alpha and Omega ! In one Silicon Valley data center, [Google] is so paranoid about competitors catching a glimpse of its gear, it’s been known to keep its server cages in complete darkness, outfitting its technical staff like miners and sending them spelunking into the cages with lights on their heads. This makes sense, as both performance and energy efficiency are sources of competitive advantage. However, the veil has been lifted, to some degree. Google offered a detailed view of its data center technology to Wired recently. There was even an up-to-date photo gallery; much better than those murky images of Google servers with all the wires hanging out! That is all I’ve seen about Google servers for more years than I can remember. A few days ago, Mashable posted a sweet gallery of Google data center Easter Eggs. Read the annotations accompanying each image in the gallery. The hiding Androids were, not surprisingly, my favorite. YouTube is something of a cesspool, with pockets of exceptional quality here and there. Even the higher quality videos have an ephemeral aspect, mysteriously vanishing or being marked Private, from one day to the next. Others succumb to the more prosaic, account suspended due to multiple copyright violations. Illegal uploads of major recording label artists abound, or did. YouTube is also becoming a go-to destination for low-fidelity live concert recordings. There’s no shortage of fee-based alternatives, so I’m not complaining. Google Search has a well-known competitor, Microsoft Bing. Google is first, but Bing (and Yahoo, who contracts search to Bing now) has the second largest share of U.S. domestic internet search volume. Globally, Google is also first, with Baidu, Bing and Yandex in varying relative share positions depending on geographical locale. Today’s post is about a (no longer) recent entry on one of the five* official Bing blogs. The Chicken Has Landed (5 June 2013) offers guidance on how to improve search rank, website quality and traffic volume. It is applicable to e-commerce, blogs and most publicly accessible websites. I found a broken link. It was important, being the contact URL on Google Research’s official Twitter account! I told them about it. Google Research wasn’t aloof! I was thrilled. Google Research finally joined Google+ in August 2012. I tried to coax an earlier arrival in July 2011. Click on the image if you would like to read our conversation. I remember feeling bold, and daring! Indirect Content Privacy Surveys: Measuring Privacy Without Asking About It, Symposium on Usable Privacy and Security (SOUPS), 2011. This is SO true! Dramatically vocalized privacy concerns are highly inconsistent with actual user behavior! The gist of the article was to figure out a way to get at people’s privacy concerns without asking about privacy directly. Merely broaching the subject tends to cause survey respondents to get skittish, thus impacting their answers. Google Hummingbird has brought significant changes to the web, for Google search engine users as well as webmasters. The impact seems more likely to affect smaller e-commerce merchants than large companies with brand name recognition and large budgets to pay for multiple advertising channels. Hummingbird is NOT an update comparable to Penguin or Panda. Hummingbird is a major change to Google search. The first change that caught my attention was encryption. All Google search queries are now encrypted, i.e. it is no longer optional to connect to Google search by https instead of http. SSL makes Google search safer, in a general sort of way. Keyword data is not as accessible as it was prior to Hummingbird. Google Keyword Tool has been replaced by Keyword Planner. Now, certain archival keyword data can only be accessed by Google AdWords customers. Google Analytics is free; Google AdWords is not. Functionality such as broad match is no longer available. The page will still be crawled and indexed by Google, but users will not see a cached link in search results. The related: operator displays websites similar to the site you are looking for. It returns the same results as clicking Similar pages next to a result on the search results page. The quality of the sites returned has no impact on your ranking or on how Google indexes your site. 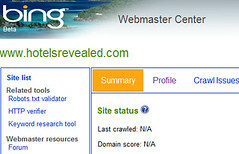 Another find: Google recently updated its References for Webmasters. Zeitgeist is a borrowed word, from an English language point of view. It means “signs of the times”. Yes, I realize that zeitgeist is singular, but somehow we seem to have made it plural in the process of adoption from German. Or maybe not, as it is sometimes capitalized, as a proper noun, the Zeitgeist. Perhaps it is one of those mysterious, uncountable words? Quartz News looked a little more deeply into the annual Google Zeitgeist survey, with thankfully human, not machine, translation and analysis. Quartz took the top results for the 34 countries for which there was data for the Zeitgeist “How to…?” category. He then rank ordered by frequency, chose the most common result for each country, and asked around, to assure that everything was translated correctly. Do the results accurately capture each country’s national character? In most instances, I think the answer is, “Yes”. The number one “How to…. ?” query for The Netherlands was “How to survive”. My Tumblr friend, Mr. Sheeper, shared a page from a Japanese language website, アンティーク　アナスタシア I am always happy to hear from him, as he has remained in Japan since the earthquake and nuclear aftermath. In English, the website name is Antiques Anastasia. The focal point is a lovely 18 kt gold slide pendant, in a style evocative of 19th century France. The original webpage metadata is リュフォニー作　天の元后　レジナ・チェリ　金無垢ペンダント　フランス製アンティーク or Pendant of antique gold: Celi Regina, which means “Queen of Heaven”. This is religious jewelry. The page includes narrative as well as photographs for context. So far, so good. There has been an accumulation of minor activity about Gmail recently. On 11 December 2012, many Google accounts experienced Gmail unavailability. I did not have experience any problems in Arizona. Gmail was definitely offline for at least 45 minutes, when I checked the official Google Apps Status page. According to GigaOm, continuous deployment was the problem, and Gmail went down during a routine load balancing update. The GigaOm article is good. It includes a two-page PDF document later released by Google, with a detailed explanation of the incident. For future reference, I suggest bookmarking the Google Apps Status Dashboard. Despite the “Google Apps” page name, the information is relevant to consumers as well as Google Apps business customers. It lists time and cause for disruptions in Gmail and many other Google services. There is an unofficial Is Gmail down? service which culls data from multiple sources. It reminds me of an informal version of Herdict, the “verdict of the herd”. Herdict collects and publicly reports on global incidents of filtering, denial of service attacks, availability, and overall internet infrastructure reliability. Input data is crowd-sourced. Herdict reports on website inaccessibility regardless of cause. After aggregation and trend analysis, it can be useful for gauging regional blockages of websites known for activism and possibly subject to politically motivated internet censorship. “Is Gmail down” is not intended for anything beyond the convenience of the public, though that is always appreciated! It is not crowd-sourced, nor does it give a comprehensive real-­time map of global Internet health. In contrast, Herdict does exactly that. The collected information can even be broken down on a more granular level. Google’s cloud storage service is finally available. It offers the promise of accessing files, even large ones, from any location or device. With Google Drive, you can create new documents, spreadsheets, presentations and charts, and easily share with others. There is the suggestion of collaborative work, by two or more, on the same document simultaneously. In reality, that is rarely feasible. Well, it is difficult to do productively. Shared access is convenient for meetings and small work groups though. As with Google Docs, one may search by keyword, and filter by file type, owner or file size. Over 30 file types are accessible from your browser. This includes HD video, Adobe Illustrator and Photoshop— this part is key: File access does not require the program to be installed on your computer! The first 5 GB of storage is free of charge for all Google accounts. Google Drive may be used on a variety of computers and devices, including PCs, Macs and Android. iPhone and iPad support is “coming soon”. This seems so similar to Google Docs! Precisely because Drive is just Docs with a new logo, Docs is being phased out. The site still works for now and will continue to work for months, but Google is pushing users away from the Docs URL and app and towards Drive.